Contrary to popular belief, the journey of an orphan in life does not need to be an exhausting one. Let me tell you a little bit about my journey. Being an orphan surprisingly put me in a state of happiness! It simply shaped my personality and made me the proud person I am today, the person who gathers all the positivity in the world to chase her dreams and help her family. My father passed away when I was a little child and unfortunately, my mother had so little to offer. Her only way to provide us with a decent living was to take us to an orphan care center. From the moment I walked in that center, I was charged with a passion to learn and grow. I was set on continuing my journey with will and determination, my only fear was not to make it to university. After turning 18, I found myself in a state of fear, the fear of not having enough support to continue my higher education. With the help of the orphan care center, I learned about Al-Aman Fund for the Future of Orphans, whom I now consider to be my second family. The Fund provided me with financial support, workshops and training programs; they also helped me continue my higher education by getting my law degree with an average of 90%. 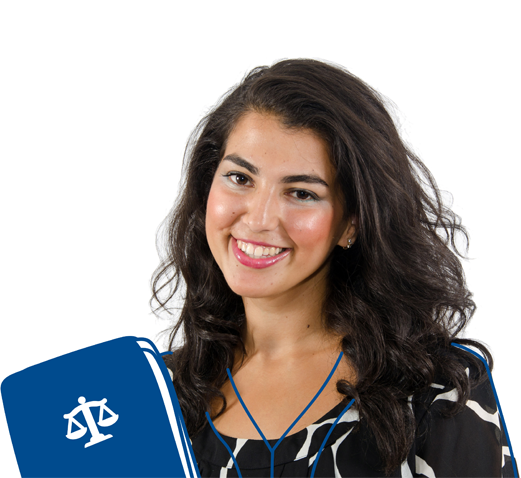 Today, I am successful law trainee, who is keen on proving myself and searching to find a job that will offer me a decent income to support my family. My dream is to achieve my Master’s Degree and eventually my PhD to be able to start my own law firm that fights for justice! Today, I am sharing my story with you for one reason; to tell you that orphans are not a burden on the society. An orphan is just like any other person with ambition and will power, but has no parental support. With the support of Al-Aman Fund for the Future of Orphans, I was able to turn my circumstances into joy and become a happy person full of optimism.